A top album. Amazing vocals in all tracks. A good variety of slow, medium and quick songs. There are many standouts on this album. A must listen. An excellent debut album for Ed! It's brilliant to see him have commerical success in Australia and the UK, it's very well deserved. I love Ed Sheeran's songwriting style. It's very refreshing and it's completely different to the samey dance pop style of today's charts. Thankfully, not every track is like "The A Team," even though the track itself is brilliant, too many listens of similar tracks like it can get excrutiatingly boring. In fact, you have some tracks like The A Team, some like You Need Me, I Don't Need You and many in between which brings an awesome balance between beautiful and very cool. This, Lego House, Wake Me Up and Kiss Me are beautiful ballads, although they occasionally get boring. They do however provide a much needed contrast from the 'cool' tracks like You Need Me, I Don't Need You and this album would not survive without them. The 'cool' tracks are U.N.I, This City, Grade 8 and You Need Me, I Don't Need You. They feature a lot of Ed's fast rap-like singing which is rather interesting and a features a lot of nice guitar-percussion. The A Team, Small Bump and Drunk are the very very very good 'in between' beautiful yet upbeat tracks. These 3 would be among my favourite tracks on the album. Give Me Love is an exceptional track on its own in which I must highlight. It's a very nice track but as it builds up it has many elements of traditional African music which is just very awesome and undeniably brilliant. The African-like choir is simply brilliant. The highlights of this exceptional album is Small Bump (the best track) followed by Give Me Love and The A Team (equal 2nd). The other songs that I have given a 5 are also very good tracks that have great single potential. I could go on and on about this, not to mention the lyrical brilliance of each and every track and the excellent use of vocals by Ed. He may not have the best vocal range like other singers but he uses what he has in a really good way. I would love to here more from Ed Sheeran in the future and I wish him a very successful career. Especially if he keeps writing music like this. Album average: 5! But I'll give the album a 6 as every track here is perfectly placed and although some individual tracks may not be worth 6 stars, all these songs together fit in together perfectly just like an album should! Brav und angepasst, ohne Biss, dafür aber überaus erfolgreich. Bei dieser Mischung aus Pop / Soul und Folk stellen sich schnell Ermüdungserscheinungen ein. So you buy an album because it's cheap and you like two songs on it, and think one is okay. And then it sits there unopened for about eight weeks. Then you finally decide to play it, and you think it's fine, but a bit disappointing. Then you give it another go. Listen more regularly. And suddenly, you're finding it amazing. Every track is beautiful or cool or fun or whatever. That's what's happened to me with +. The A Team and Lego House were instant loves for me, but I didn't care much for the different sounding You Need Me, I Don't Need You at first. And when I listened to the album, at first I was mostly finding it pleasant, but I wasn't especially interested. I wanted instant love, like with The A Team and Lego House. But these other tracks are growers, and once given a real chance, they stand on their own as songs amazingly, or they fit perfectly into the album. Wake Me Up is minimalist and gorgeous, and Small Bump is absolutely beautiful but totally heartbreaking. There's a strong mix or slower and faster songs on here, and the whole album flows very well. Not only is Ed an amazing songwriting talent, he's also a brilliant vocal talent. His vocals are flawless throughout the entire album, whether he's delivering a ballad, performing a rap or trying to keep up with a faster beat. I'd say I can't wait for another album, and I sort of can't, but I'm quite content to keep repeating this one over and over. A very brilliant and well produced album! 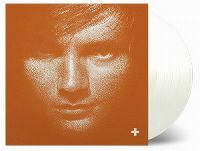 The thing that stands out about this album is the variety, as well as the way Ed Sheeran executes his musical talents. He showcases different styles of his abilities, and does so in a fantastic and well produced way. The song writing is also another highlight for '+' - from sad stories of heartbreaks and struggle, to cheesy and/or heart warming love ballads. It's a rather solid listening experince but lacks a track that makes me go wow! and also found myself skipping tracks after a few runs. Definately not worth purchasing the more expensive delux versions that are available aswell. Highlights are the beautiful 'Small Bump' and iconic "The A Team'. I got into Ed Sheeran quite late, but I'm glad I did. His debut album shows he is a great singer and an equally brilliant songwriter. 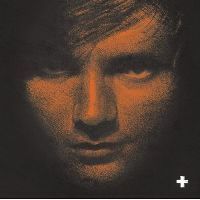 Highlights are "The A Team", "Small Bump", "Lego House", "U.N.I" and "Give Me Love". Ed's Debut-Album ist ganz gut geraten, für ein Debut und für sein Alter sicherlich überdurchschnittlich. Ich mag seine Stimme und sein Songwriting. Auch wenn man nur die Singles kennt, die Album-Tracks kommen in etwa ähnlich daher. Highlights: "Give Me Love", "Lego House" und "The A Team"
Der junge Mann ist auf jeden Fall sehr talentiert, hat ne tolle Stimme und schreibt seine Songs teilweise selber. Jedoch gehört er auch zu den am meisten überschätzten Künstlern dieses Jahrzehnts. Auf dem Album gibt es zwei Highlights THE A TEAM und LEGO HOUSE. der rest dümpelt so vor sich hin.